Cytoskeleton offers several reagents for live-cell research including fluorescent proteins, cell permeable protein activators and inhibitors, as well as our recent addition of Spirochrome's probes SiR-Actin and SiR-Tubulin. 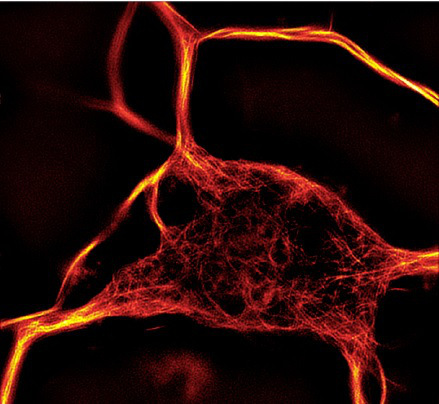 Live-cell imaging probes developed by Spirochrome are cell-permeable compounds which stain microtubules (SiR-Tubulin) and F-actin (SiR-Actin) in living cells. To learn more about Spirochrome's Probes for Bioimaging, click here. Also available are several live-cell reagents that have been extensivily validated and cited in hundreds of papers.